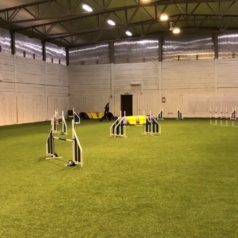 Epic is finally back in agility trials, almost ten months after his caudal cruciate ligament tear at the beginning of February. His recovery has gone great, but I’ve progressed slowly through the summer and fall. 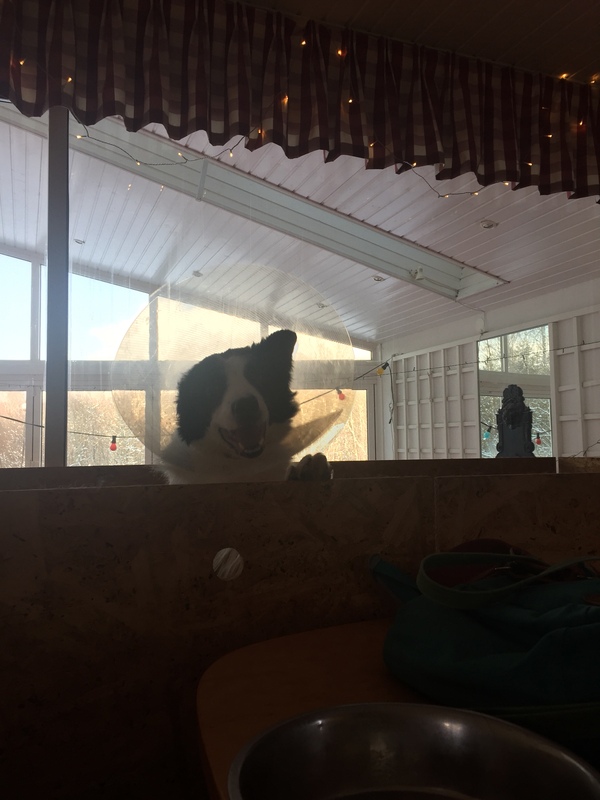 He’s eight years old now and recovery and rehab can be slower than in a younger dog. We’ve mostly worked on walks in the woods, strengthening exercises and some jump grids. I’ve been afraid of letting him go back to “real” agility but finally decided that I just had to do it and entered him in a competition. We ran three jumping courses on Saturday and it felt so much better than I expected! After the first run, I could relax and just enjoy the moment. Epic was so incredibly happy to be back in competition – it was stunning to see how he really enjoyed everything about it. The first run. He dropped a bar and then took an off-course jump. The second run was my favorite. He took the wrong tunnel entry on #4 – I did suspect that what works for Bud doesn’t for Epic right now. He turned into me when I was behind instead of staying on the narrow, straight line to the left tunnel entry. The rest of the run was really nice. I love how he nailed the independent part into the weaves. Bud also competed and won the first class. We had so much fun and I’m looking forward to competing again on Sunday! It’s been two weeks since Epic’s injury and yesterday was the day of his surgery. He’s been a good boy taking it easy for two weeks, but his energy was sky high when he finally got to leave the house and go for an adventure. During the initial check with the surgeon, he was surprised to see how well Epic was moving. I showed him in a walk and a trot and he did not show any signs of lameness (which he hasn’t at home for about a week either). This made the surgeon question his original diagnosis of a CLL injury, because dogs don’t usually recover so nicely from that. I left Epic for an arthroscopy and possible surgery in case it was a CLL injury after all. I took the rest of my dogs to an indoor arena for training while I waited for the vet’s office to call me. I came to pick Epic up six hour later and he was very happy to see me and still very energetic even after anaesthesia and arthroscopy. He didn’t have surgery on his knee since the arthroscopy showed a total caudal cruciate ligament rupture, which is not helped by TPLO or TTA. 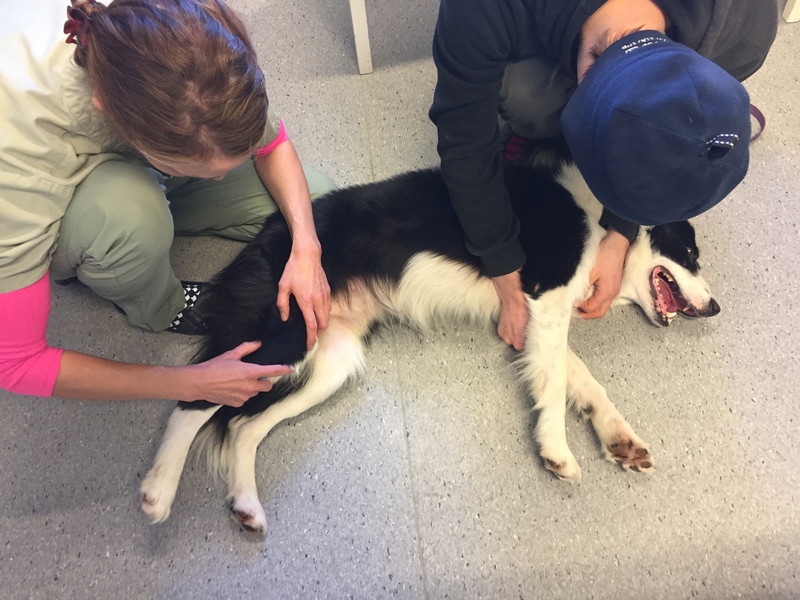 The caudal cruciate ligament is much less common to rupture than the cranial, and it happens with a specific type of trauma (most often when a dog for example is hit by a car). The caudal cruciate ligament has the opposite job to the cranial. With a CCL rupture, the femur (thighbone) slips forward since the ligament is not keeping it in place. The caudal cruciate ligament keeps the thighbone from slipping back or sideways. Epic shows some slipping sideways when provoked when the stifle is flexed but is very stable with his leg straight. Arthroscopy also showed that all other structures in his knee looks great and that inflammation is minimal. Our orthopaedic surgeon did not recommend any surgery on this type of injury as he thinks it might create more problems than it solves. It’s a very uncommon injury to only rupture the CaCL and not have any other injuries in the knee. 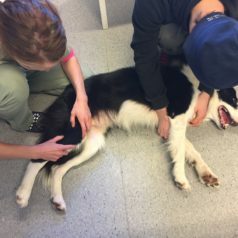 In the cases that he had seen before, dogs had come back to work with rest and rehab and no surgery. 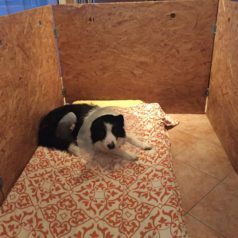 This is our plan for now – six weeks of rest and then gradually building muscle and proprioception. 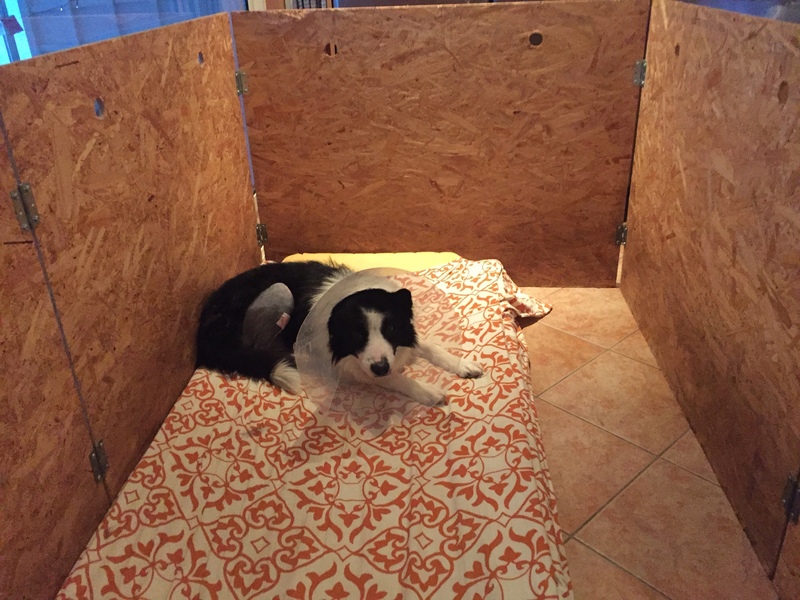 I’d love to hear from others that has suffered the same injury with active dogs.